I try not to put any personal or biased opinions in blogs much as possible because I like to present facts, numbers, and science but for this one, I am going to make an exception, with the hope of swaying people’s minds. With that said, here we go! 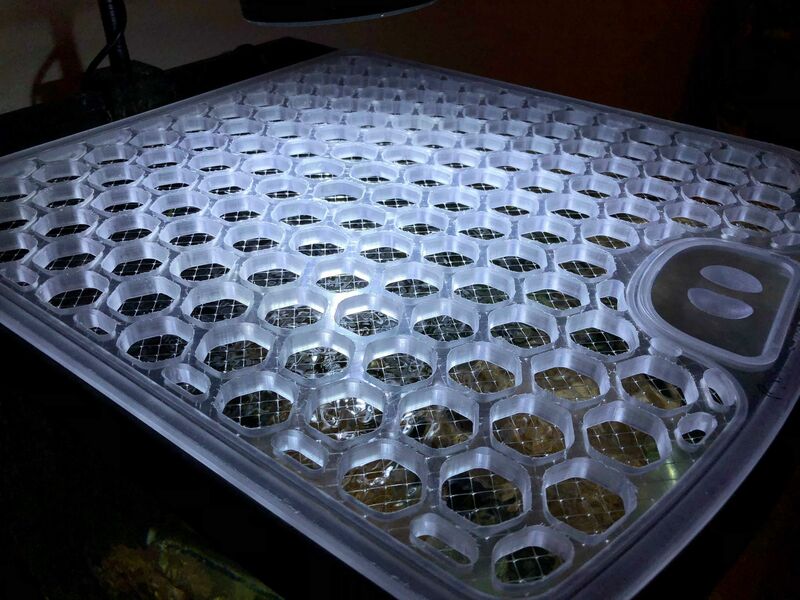 Opinion: It is my belief and hopeful wish that EVERY reefer has a top or lid on their aquarium. Is it a sales pitch? Not at all. Think of your own personal experiences of reef keeping over the year(s). For many of us, fish are more then just little pets. They become like family members and many of us name them, learn their habits, what they like, dislike, and their funny little quirks. 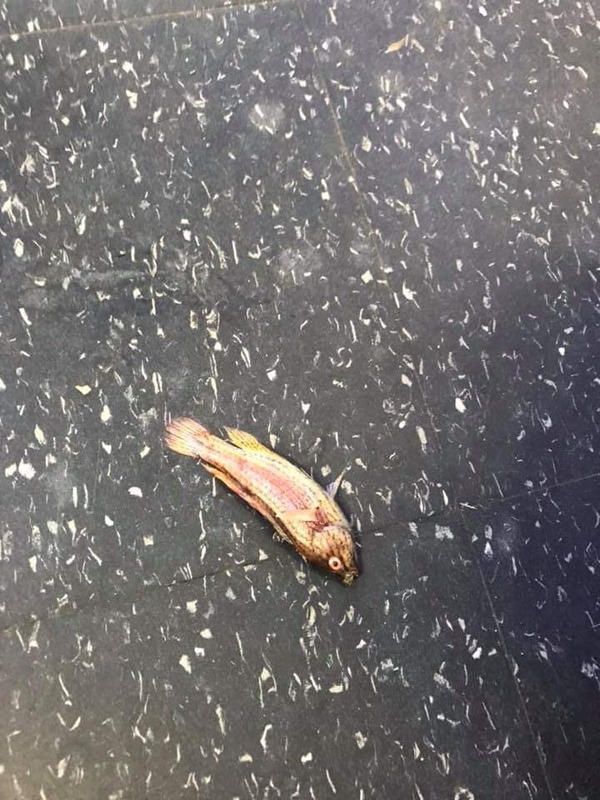 So it is particularly disheartening and gut wrenching to find your favorite fish on the floor, dried up into a crisp. Why do fish carpet surf? We come to believe and accept it as their natural behavior to escape bullying from their more aggressive tank mates. 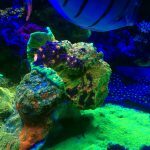 How many people keep gobies? wrasses? 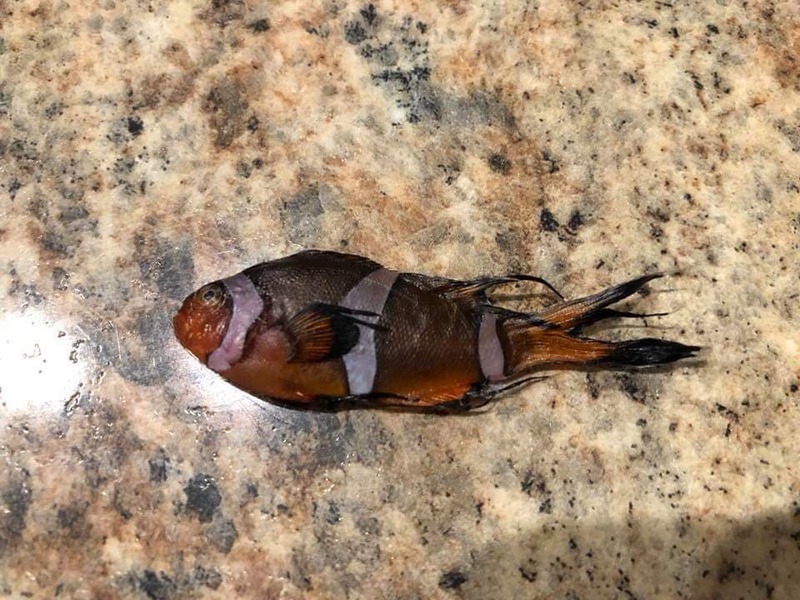 clownfish? how about blennies? 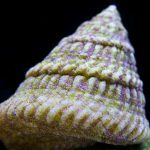 Chances are that we have more than one of these species in our tanks, and they are the worst culprits in the area of carpet surfing. The questions is, what are you doing about it? 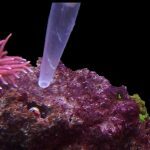 As responsible hobbyists, I think our job is to provide optimal conditions for our little friends who were plucked from the ocean for our aquarium trade and keeping our tanks covered is a step to ensure that they live long lives. 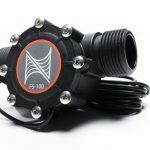 Some manufacturers saw the need for this and I am very happy to report that Innovative Marine and Red Sea are now offering lids for their aquariums, and I hope that many more companies will follow their lead. 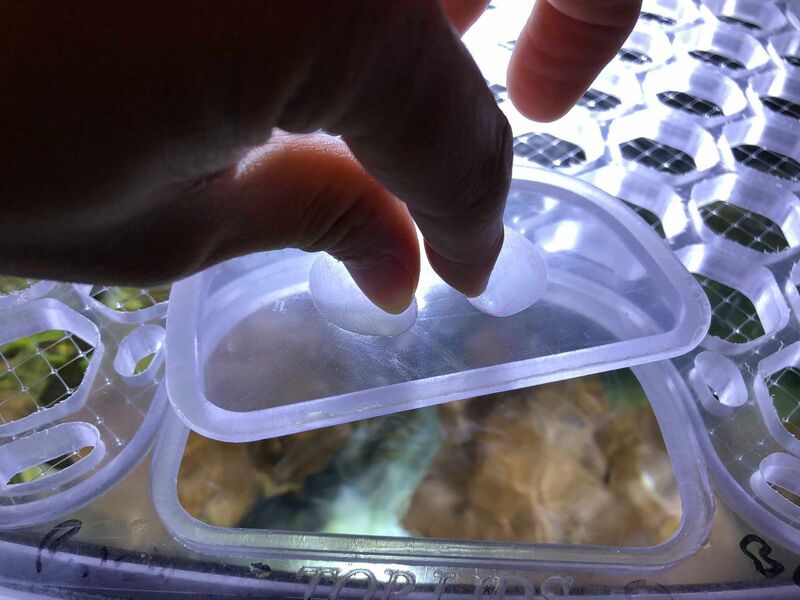 In the title, you will also see “…My take on the SafeTop Lids custom aquarium lids.” Here is the second part! 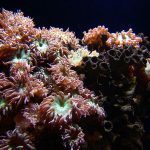 For those of you that are like me and not handy at all, but concerned about the overall look of the aquarium, there are professional companies that make these types of units for you. There is one company that I have recently dealt with and would recommend. 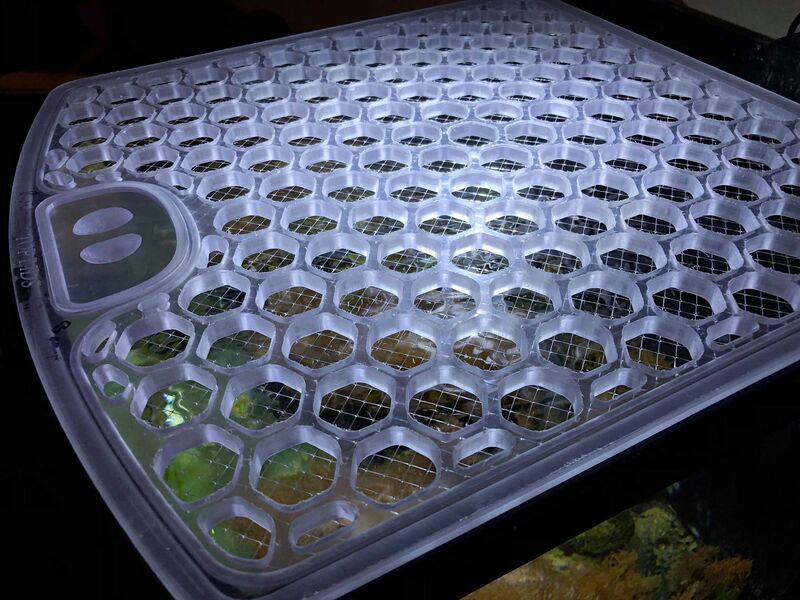 The company’s name is called Top Lids and they do just what name states, they make custom lids for any aquarium. Out of many, this company was actually referred to me by my good friend Kat Dhawan of Marine Depot. I recently gifted a modified JBJ 28g aquarium (took the black top off to give them good LED light) to a good friend of mine and it was going to a home that houses three very smart cats. I needed a lid that can withstand the weight of the three cats that want to get in the tank to go fishing and keep them from being able to lift the lid to stick their paws inside. Sit flush with the black rim inside the tank it so it can’t slide off. Has to look aesthetically pleasing. I spoke to them via facebook and they answered all of my questions and addressed all of my concerns. Like that, the order was placed. 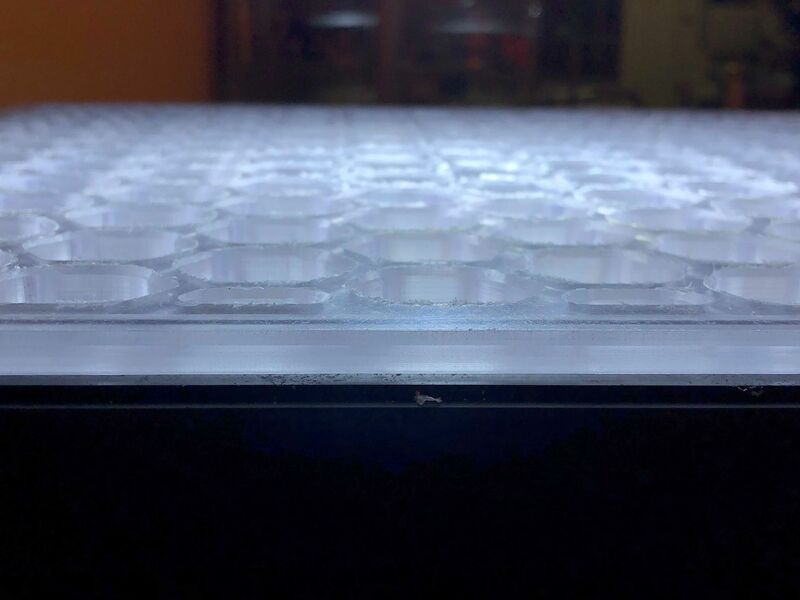 It’s also worth it to mention that if you are doing custom CNC work like myself, this will take a few weeks to get in your hands so be sure to place the order in advance. They offer a variety of options such as moon lights, Neptune System’s Apex auto feeder door, and many more but I went with more basic and economical, and just got the standard model with feeding door for frozen food and additional protection in cat-proof lid. The finished product arrived last week and here it is on top of the JBJ 28g nano tank. 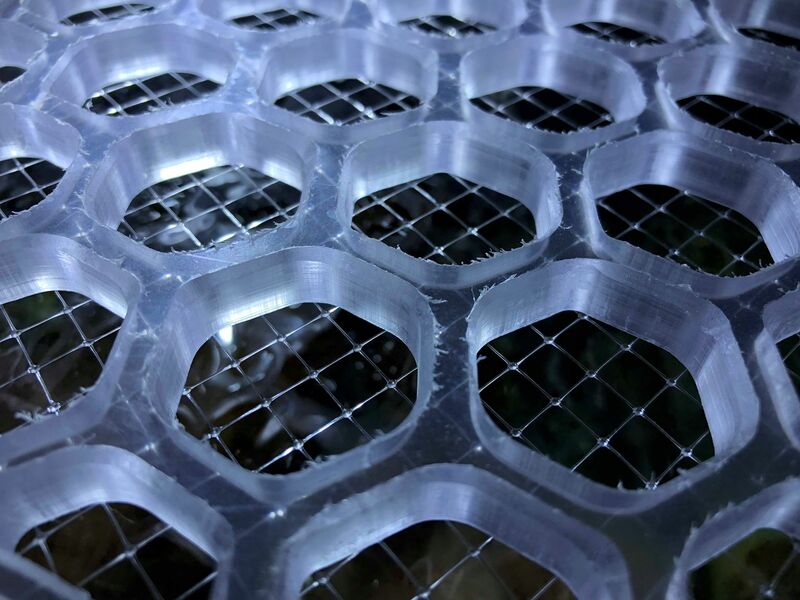 As you can see, on top of the netting is a thick layer of poly-carbonate lexan for long term durability. 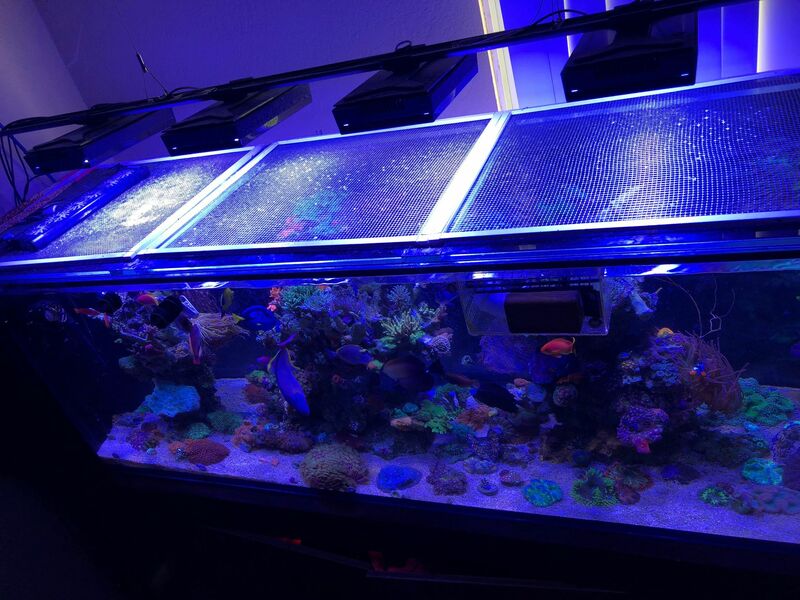 You won’t have to worry about this warping over time from the intense lighting of our aquariums. You can see the CNC precision cut and you can see the grooves are made so that it can sit inside the rim like I requested. I am happy to report that the lid sat flush all around the aquarium. You can definitely appreciate the craftsmanship and the level of care that goes into making these units. 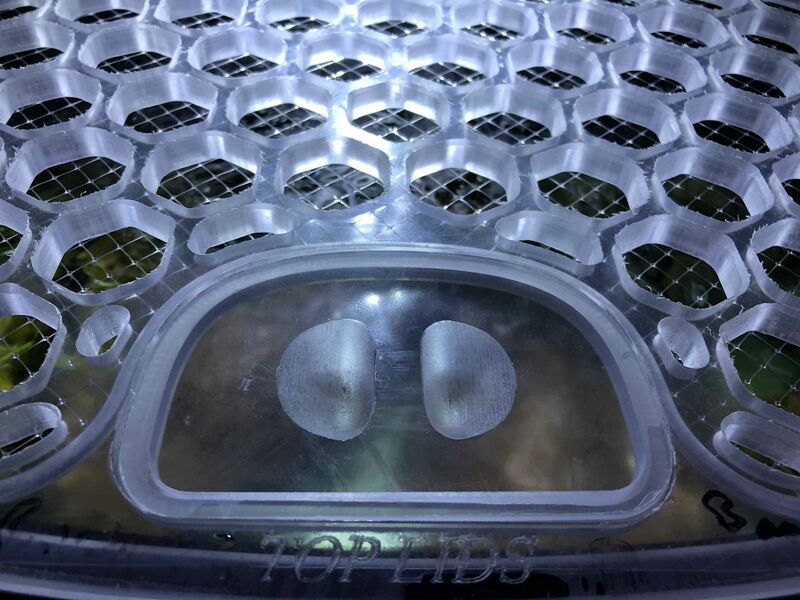 The food lid is easily opened to put the food inside and grooves inside the actual lid will prevent it from falling inside the tank. I liked that little things like this were considered; you can tell that hobbyists designed this. As I mentioned before, I am an advocate for covering the top of the aquarium. As a responsible hobbyists, we have a duty to provide optimal, thriving conditions for our animals and this is an often over looked necessity that shouldn’t be overlooked. Honestly I don’t think there is a reason or excuse not to as there are many ways to fit everyone’s budget and crafting abilities. For those who have the handiness of tree stumps like myself there are fantastic professional options available like the Safe Top Lids I mentioned above. I would give them a solid recommendation. They were great with communicating with me throughout the order, addressed all of my concerns, and delivered a phenomenal final product that I was very happy with. Hope you guys enjoyed it!